NBC Sports Philadelphia is set to simulcast 97.5 The Fanatic host Mike Missanelli's afternoon radio show, starting in 2018. The "Mike Missanelli Show" will air weekdays on 97.5 and NBC Sports Philadelphia from 2 p.m. to 5 p.m., according to a joint statement from the television network and Beasley Media Group, which owns the radio station. "Philly Sports Talk" will then air on NBC Sports Philadelphia in its usual 5 p.m. slot. 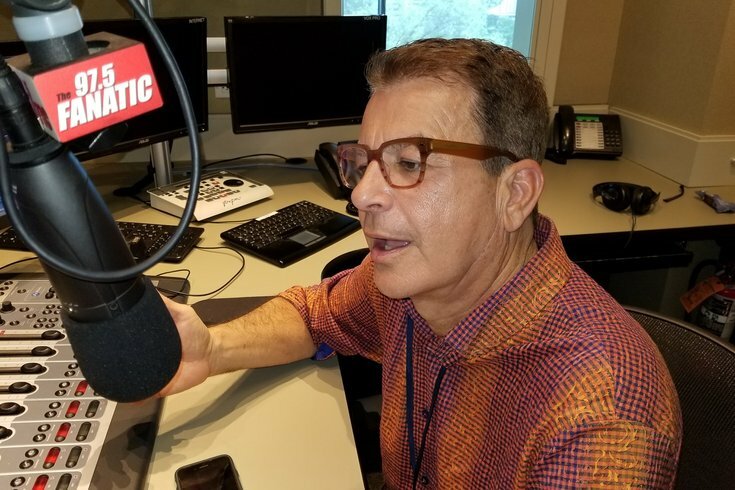 Missanelli's show airs on the radio station until 6 p.m.
NBC Sports Philadelphia joins a growing list of networks carrying simulcasts of local or national sports talk radio programs. The move provides the network's audience with "yet another platform to hear from experts and fans on the state of Philly teams," NBC Sports Philadelphia President Brian Monihan said in the statement. Beasley Vice President Joe Bell said the company is "absolutely thrilled" with the upcoming partnership, noting it recently signed Missanelli to a multi-year extension. "This exciting new partnership will be an added bonus for the dedicated Philadelphia fans who are passionate about their sports teams,” Bell stated. During a show in October, Missanelli told listeners that he had been dismissed from his "Sports Sunday" spot on 6ABC in September after saying it was "unnatural" to hear ESPN Broadcaster Beth Mowkins call an NFL game. He later walked back the comment and said he was out of line. He has worked in Philly and New York sports talk radio for two decades.